Imagine rowing 90 minutes on and 90 minutes off for twelve days straight in freezing temperatures through wet, bone-chilling winds and (up to) 20 foot waves — all while clipped in by harness to an open-air 29-foot boat with no sails or motor to assist. This ultra endurance expedition, named The Polar Row, captured 11 World Records, including the first man-powered vessel to reach the polar ice-cap, which sit’s at the earth’s northern most latitude. 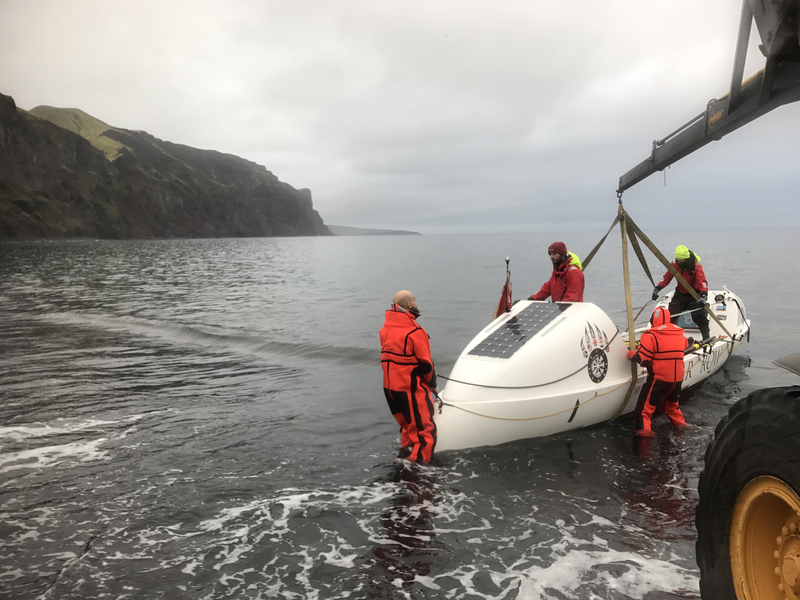 The two-part expedition began on July 20 in Tromsø, Norway, from where an internationally represented five-man team rowed 520 nautical miles in nine days to the town of Longyearbyen in Svalbard. A few days later, a team of six men departed Longyearbyen for Saudarkrokur, Iceland. This pioneering team decided to take a detour in order to row north to reach the permanent ice-cap and capture yet another record. 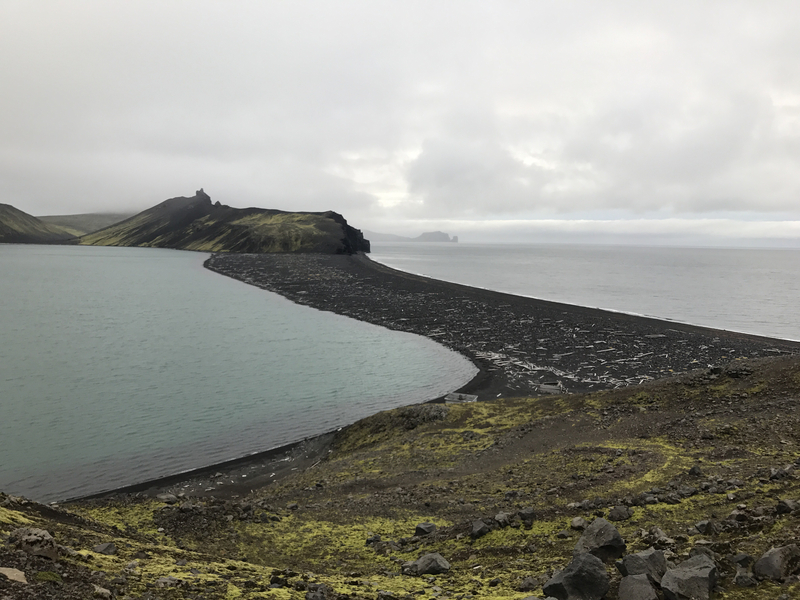 But upon departing the ice-shelf, weather conditions, health concerns, and technological difficulties forced the team to seek shelter on August 19, on the active volcanic island of Jan Mayen, over 400 hundred miles away from Iceland. There the team waited, grateful but stranded, until a Norwegian Coastguard boat rescued them and brought them to Norway. Records aside, their unique telling of the adventure is most compelling. I had the opportunity to interview six of the nine rowing members of the most record-breaking man-powered team in history. Among their crew of six were two-time Olympic Gold medalist Alex Gregory (UK), the world’s fastest ocean rower and the team’s captain Fiann Paul (Iceland), expert sailor and Exploration Geologist Sam Vye (UK), ultra-endurance athlete and four-year varsity rower at UC Davis Carlo Facchino (USA), ), and adventure cyclist and Cambridge physiology researcher Dr. Danny Longman (UK), and (at 23 years old) the youngest of the crew by seven years, internationally accomplished mountaineer and endurance runner Tyler Carnevale (USA). Briefly describe what you experienced as you approached the polar ice-cap, the northernmost point ever reached by a man-powered vessel? Tyler: I remember opening the bow cabin half-awake and hearing this low-pitched grumbling sound, unlike anything I had ever heard before. When I came out of the cabin, we were staring at the edge of this sheet of ice, which stretched in both directions of the horizon as far as I could see. The water was this beautiful dark blue color and the ice was pure white with some very light blue coloring. The sky was the same color as the light blue in the ice and when you looked out at the whole scene in its entirety, it was just surreal. I understand that one of the reasons you decided to abort the mission to Iceland was because five out of six of you suffered from “non-freezing cold injuries” due to constant cold and damp conditions. Despite these near frost-bite wounds, sore tendons, friction-induced blisters, how did you deal with the sleep deprivation? Danny: I personally managed to sleep for about 20-30 minutes after every shift, which meant that I got around 3 hours a day. You kind of enter a lower level of functioning. I found that when you’re not required to think or to concentrate to a high level, that’s actually enough. Sam: My mind literally switched off. All I thought was, ‘Eat, sleep, row, repeat’. That was until the nausea from sea sickness got so bad that I was then just sleeping and rowing in a zombie state. When bad, the conditions helped keep me awake when on shift, constantly making me keep one eye in the direction of the ice cold waves. Carlo: As soon as I got into the cabin, I quickly removed the wet clothes and changed into a pair of wool leggings and a dry top. It sounds easy, but remember, you also have to spend another three minutes changing back into the cold, wet clothes before the next shift. Plus, you just used up six minutes that could have been used for sleeping. Still the six minutes are worth it. Sleeping in something slightly drier and not soaked with sweat means you sleep more comfortably. Tyler: We had daily ration packs which consisted of electrolytes, three freeze-dried high-calorie meals, around six energy and protein bars of different sorts, and one bag of muesli. We were also drinking many liters of water each day. In my experience, the food became so incredibly awful after about a week on the water. I would still eat it, but we had resorted to mixing the freeze-dried meals with cold water which was sometimes hard to keep down. Danny: Seasickness meant that my diet rapidly became restricted. By the end, I was eating half a bar a day. It was cool though — I’d put on 10kg in preparation, which was more or less the exact amount that I lost. Carlo: You rarely, if ever take the time to boil water simply because those ten minutes are better served sleeping. My secret was to “cold soak” the food for at least one shift, maybe two. After 90 minutes or more the food is hydrated. Danny: To pee we had a small orange plastic jug, and to use it we’d stand on deck, fill it up, and pour it overboard. This ensured we didn’t pee all over our teammates as they rowed! For other bathroom needs, we had a bucket. Using the bucket was a fun experience, trying to do your business while hanging on tight to the safety bars when in high seas! What was it like living on such a small boat with six men? Carlo: The boat is 29 feet long, but in terms of cabin space there’s a small cabin on each end where we eat and sleep. Cabin is an overstatement. It’s a foam pad with a fiberglass shell. The cabin is six-feet long and narrows from five feet wide to three feet wide. Anything that brushed the sides of the cabin was instantly wet. You can’t sit up, lie flat, or find a dry spot anywhere. We sleep shoulder to shoulder with our legs on top of bags and our heads carefully rested on the last inch of the mattress. To get changed you must synchronize movements. First one person swings his legs over the head of the person next to him, and then the second person twists around on his bum, lifting his feet up and over the head of the first person. Finding your clothes is no problem: you’re either sleeping in them or they are lying on top of you. In the middle of all that, you have to brush your teeth and apply ointments to all the raw and chaffed areas down below. The final step is putting on your boots and then your gloves — the dreaded gloves that are cold and soaking wet from the previous shifts. Briefly, how did you train for the physical and mental rowing aspects of the journey? Fiann: A man who is only tough and armored won’t hear his body well enough and will often end up injured. Paradoxically you also need to be very sensitive and perceptive to your body and react quickly when it sends you signals. The qualities that give you the ability to communicate with your body are actually contrary to what the cliché of masculinity is believed to be. These qualities are often a key factor in maintaining a certain level of performance over a period of weeks, not hours. Danny: My training consisted of 2 hour-long continuous rowing machine workouts, lots of squats and dead lifts, bench press, pull ups and heaps of core. The rowing machine workouts were as psychological as they were physical. I wanted to get used to rowing for longer than I’d have to on board, so that when I was shattered and beginning a 3a.m. shift, I knew I could get through it without any problems. How did the expedition contribute to physiological research? Danny: As part of my research at the University of Cambridge, I was taking detailed physiological measures from the rowers both before and during the expedition. Crew members’ muscle and fat mass decreased significantly, and I’m awaiting lab results to determine exactly how many calories were burnt each day. Over the last 2 years I’ve travelled to the world’s most inhospitable climates to study adaptation during ultra marathon races. This row was an opportunity to put my own body to the test. How did the sighting of wildlife add to the mystic nature of your adventure? Danny: A couple of seagulls followed us across the sea. It really felt as though they were checking in on us, making sure that we were ok. This made me feel a part of the ocean landscape. Fiann: The permanent ice-shelf looked like, and in fact was, a gate to another world. A pair of Walruses looked like the gatekeepers. Alex: We were required to carry a rifle on board as protection from the very real danger of polar bears. Sadly we didn’t see a polar bear, but whales were plentiful. Rowing through beautiful flat ice cold water when suddenly the huge grey back and tail fin of an adult humpback whale breaks the surface with a youngster in tow is a truly amazing scene. A lasting memory for me will be watching the breathing spray of humpback whales continue into the horizon as we slowly rowed off into the distance. Why did you put yourself in such miserable life-threatening conditions? Danny: Taking part in challenges such as this appeals to me on some sort of deep existential level. In the months leading up to the trip I felt truly alive. Scared, exhilarated, and alive. Other minor concerns and worries fade away into insignificance, and I feel that this is truly my place in the world. Alex: Life is often viewed in different ways after experiencing such relative discomfort and I was eager to feel that. I wanted to know how I would cope. I retired from an Olympic rowing career almost exactly 12 months before this expedition started. My whole life I have spent pursuing a target. I was very lucky to have finished my career successfully and walked away very satisfied. It took six months for me to wake up needing a new challenge. Twenty years from now, when you all have a reunion, what is one joyful moment and one that will make you all laugh? Sam: When we hit land, we were ecstatic. The moment we jumped off the boat onto the beach sand, all of us couldn’t stand properly. The rough seas had taken a toll on our legs. We just staggered around like a drunken walk home after a heavy night at a bar. I will always remember that with a big grin. 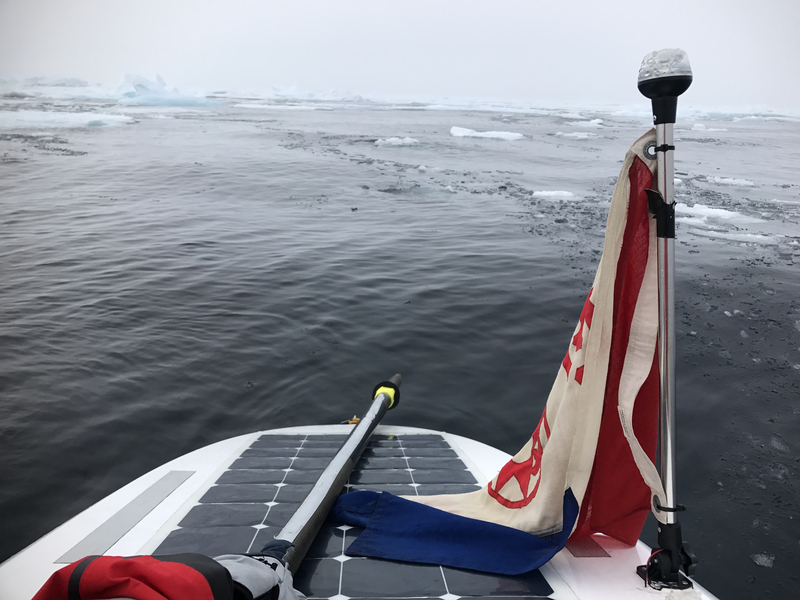 The moment that makes us cry (with laughter) is when we were rowing alongside the beautiful ice shelf, pristine waters, loving life. Suddenly, Carlo burst out of the bow cabin in just his pants shouting, “I’m going to sh*i myself!” We turned round to see him barely out of the cabin, working in desperation to place the toilet bucket in a stable position. No less than two seconds after watching him fumble to get his pants down did we see a nervous Carlo finally show a relieved face of happiness. The worst noise I’ve ever witnessed was soon accompanied by a wave of smell that makes pig farmers smell like roses. Never have I seen a man so desperate then so happy. Most rowers and sailors on the open sea have dealt with similar wave heights and strong winds, but will never experience the cold you endured. How did the Arctic cold affect your perspective on life? Sam: Witnessing the power and extreme conditions in the Arctic definitely encouraged me that it’s time to start a family with my wife. Carlo: The cold broke you down from the inside. Fiann: Extreme environments, such as the Arctic Ocean, generate a lot of gratitude. During some of the most tumultuous weather, you used the sea anchor — something the two most experienced ocean rowers had never had to use. How does it work? Carlo: The sea anchor is a giant underwater parachute that’s tied to the boat. It creates a massive amount of underwater drag. As the wind and waves blow the boat the parachute acts as an anchor and minimizes the drift. It also keeps the bow pointed into the wind and waves, therefore keeping the boat from turning around and getting flipped by a wave. Why did you decide to head toward Jan Mayen and not the originally planned shore in Iceland? Sam: Change of direction was initiated because we had several technical problems. The water maker shutting down, solar panels were not creating enough electricity to charge the battery, our back up fuel cell (to charge batteries) was not working, and our autopilot kept crashing. This meant the last couple of days trying to reach Jan Mayen we did so without the use of electricity. We had to navigate solely using a magnetic compass. Water making was reduced to pumping by hand, which created, at best, water flow like a dripping tap. Alex: I was prepared to see it through to completion, but when given the opportunity to stop on Jan Mayen for repairs and recovery, I made the decision not to continue. The isolation of our position in the Arctic and the cold water would mean that if a capsize occurred, survival chances were slim. It weighed heavily on my mind because I must get back to my family. I have three young kids at home. How did you contact folks on Jan Mayen if your batteries were dead? How did you reach Jan Mayen without GPS? Fiann: We kept leftovers of our satellite phone for this purpose. When we were near, we used tiny bits of leftovers of solar power to power the VHF radio. The last 24 hours we could only assume that if we kept heading in the right direction, we would bounce upon the island. Navigation was calculated by what we assumed the course over ground was (related to the wind and swell). I was holding a magnetic compass in one hand and a rudder in the other. I was slapping my face and shaking my head not to fall asleep. I understand that the entire 18 inhabitants of Jan Mayen, a team of Norwegian meteorologists, were very welcoming. Can you give me a very visual example of that hospitality? Carlo: On their day off they drove to a westerly facing beach that was in a protected cove. They waited for hours as we slowly crept towards them. One guy drove a tractor five miles from the base to the beach and waited to hoist our boat out of the water. As we pulled in they dawned dry suits and waded into the water to make sure our boat didn’t beach. They hoisted us onto the shore, greeted us with cold beers, handshakes and congratulations! Then they rushed us to the barracks, showed us to the hot showers, and then brought us to the kitchen to feast on hot food. It was Thai food night. We pinched ourselves to make sure this was really happening. Fill in the blank: I never want to ____ another _____ again. I will never again take for granted the _______. Alex: I never want to row another stroke again. I will never again take for granted the sight of dry land.